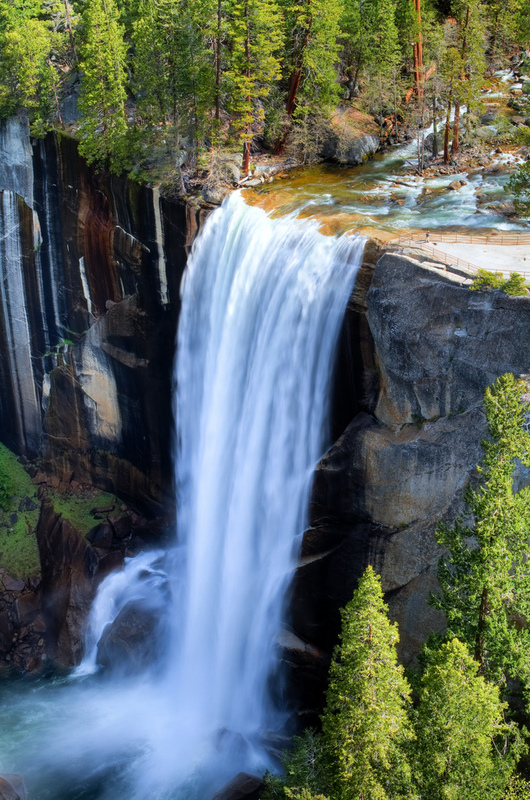 One of the most popular waterfalls in Yosemite National Park of California in the United States, Vernal fall measures 97 meters (317 feet) high. 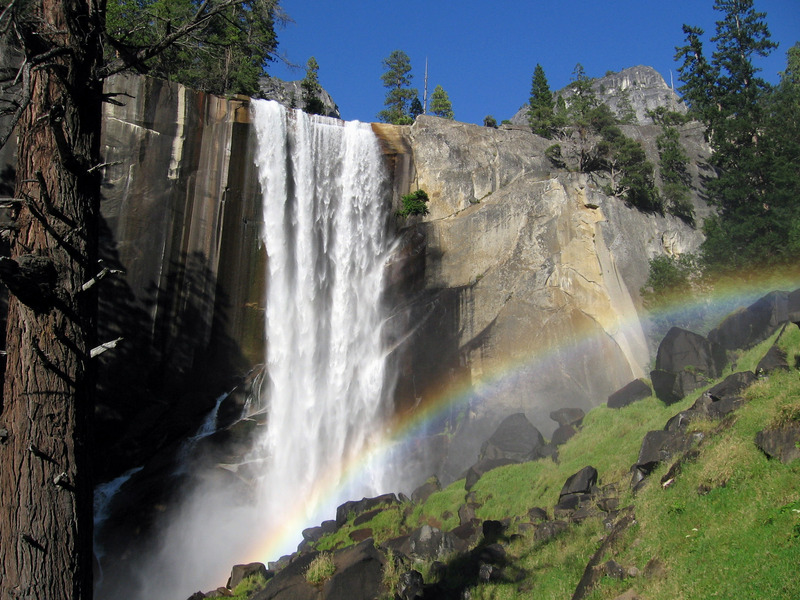 A hike along the Mist Trail to the fall takes visitors very close to the fall where they become shrouded in its mist. 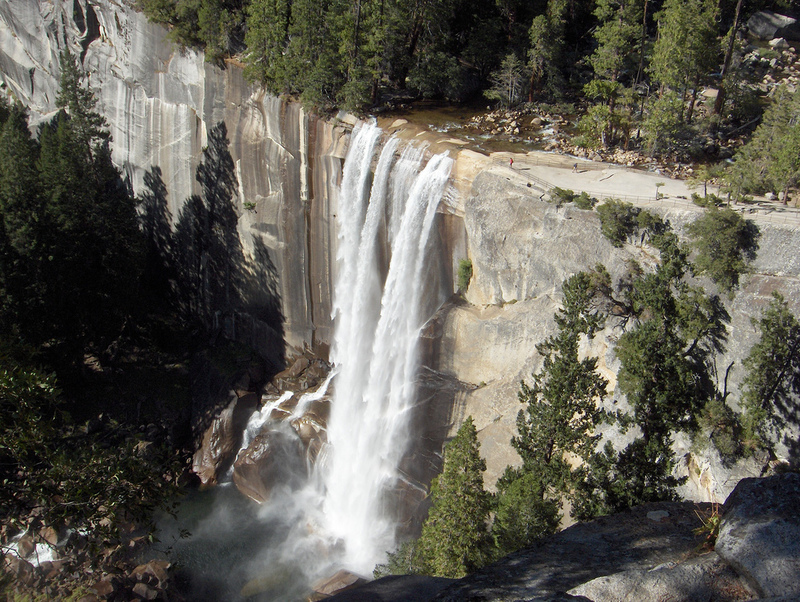 The hike to Vernal Fall is short at only 2.1 km (1.3 miles) long. At the top of the fall hikers enjoy a rest at the Emerald Pool, named for its deep green color, which is a small lake where some visitors choose to swim, though it is against the park rules and can be dangerous if care is not taken. 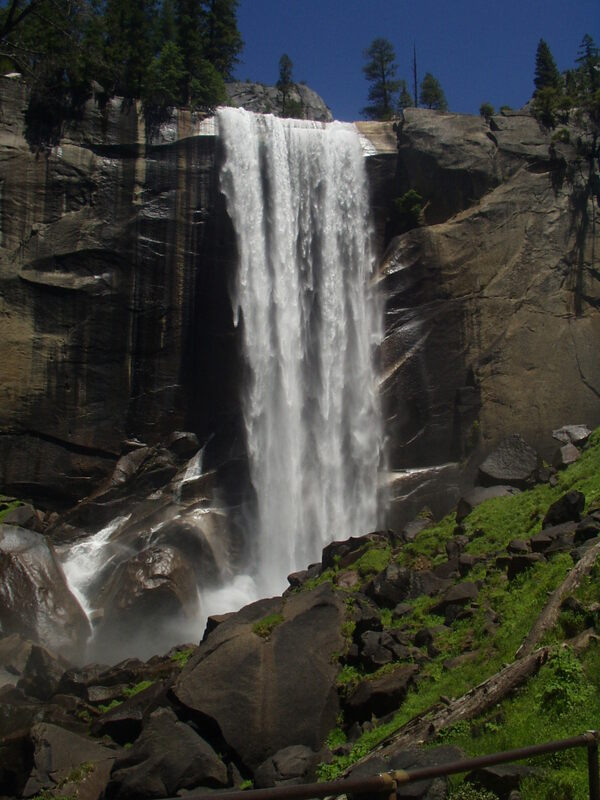 Travelers who wish to visit Vernal Fall should make it a part of a greater trip to the awe-inspiring Yosemite National Park where many other spectacular natural sights can be enjoyed. Accommodation is plentiful at the park and includes hotels as well as campgrounds. 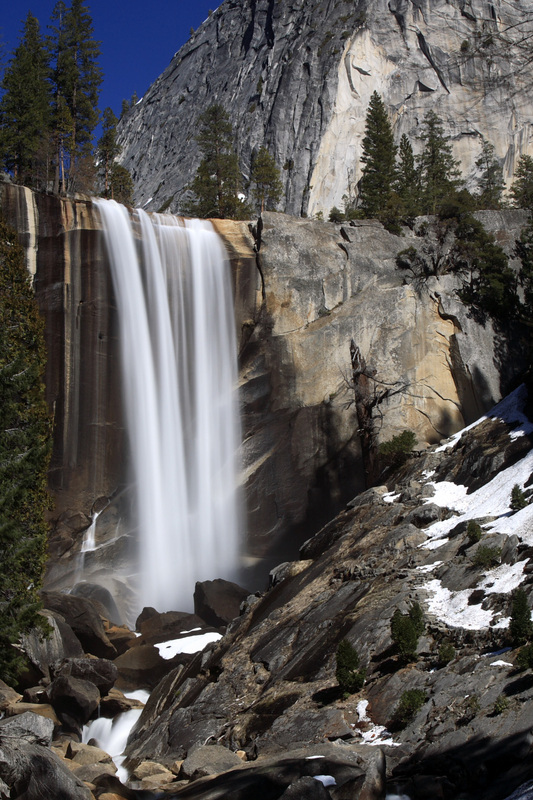 There is a $20 fee to enter Yosemite National Park. So that looks like a bad place to be texting while walking through the woods.